Lucia Liu was sitting in a tea shop in Taiwan last year when she first thought about making tea chocolate truffles. She had already been experimenting with making truffles for co-workers and friends for a couple of years, blending in champagne but never tea. More importantly, her trip had her rethinking her life goals and career in corporate marketing. Always up for a challenge, she decided the time was ripe to go for her sweet idea. “What other chances do you get in life to just start something, when you have no debt, no obligation, and no family?” she thought. 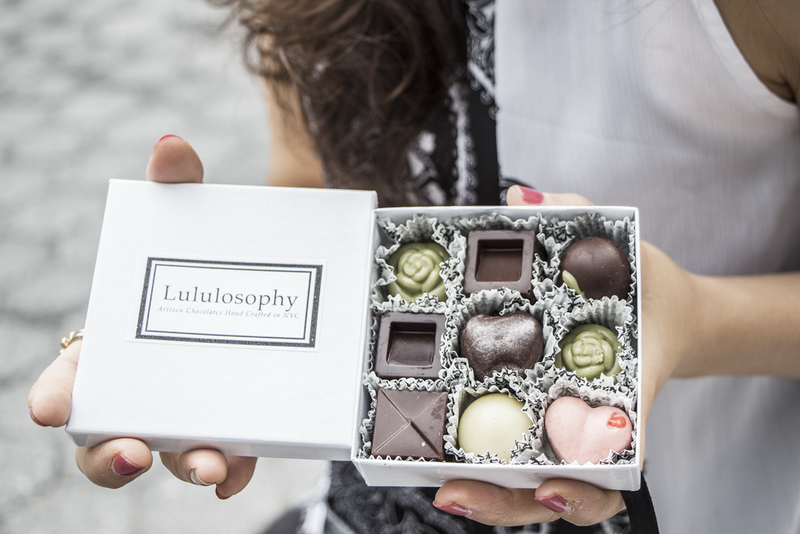 A few months after, Liu quit her corporate marketing job and launched an online chocolate store, Lululosophy, this past Valentine’s Day. Perhaps even more impressive than her speed is her resourcefulness in starting the business, perfecting many techniques she wasn’t familiar with simply by watching YouTube. “It’s amazing what you can learn from watching different videos and clicking on online recipes,” she says. From there, Liu learned truffle basics like making ganache, the creamy center in the bonbon, and took a tempering class to learn how to finish chocolates with a glossy sheen. In no time, she fashioned a Tea Collection that she could tout, featuring flavors like Thai tea, moli (jasmine tea), and matcha sake. Liu’s big break came that very spring, when she participated in a chocolate contest hosted by Smorgasburg, one of New York City’s most popular open-air food markets. Two of Liu’s truffles—spiced chai and Hong Kong milk tea—quickly became fan favorites, earning her a permanent booth at Smorgasburg’s spring market, attended by thousands between April and June. Creative flavors aside, there are plenty of reasons why these chocolates are taking sweet tooths by storm. Liu makes all of her chocolates from molds by hand, rather than using enrobing machines that larger manufacturers like Lindt do. And for those who crave the occasional healthy treat, Lululosophy is as guilt-free as chocolate gets. “I choose brands that I believe in with whole ingredients. They have to have natural vanilla flavor and no preservatives,” Liu says, adding that Lululosophy chocolates are also free of food coloring, added sugar, and whey (making them gluten-free).